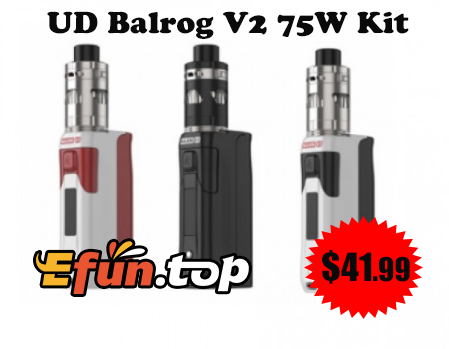 UD Balrog V2 Kit comes with top airflow design that lets airflow goes directly to the coil for pure flavor taste and big vapor. No oil leaking is another big feature of this kit. Besides, its display screen is clearer and it can fire up to 75W power with one 18650 battery.